In our first article in the series, we discussed the ins and outs of how a car engine works. We learned that through a bunch of tiny explosions, your car engine creates a rotational motion in the crankshaft. This rotational movement — called torque — is what powers the car. All well and good. But how do we transfer torque from the engine to move the car’s wheels? The answer to that question is the topic of today’s post: the drivetrain. You may have come across the word “powertrain” before. While it’s often used interchangeably with drivetrain, they’re not the same thing. The powertrain encompasses everything that makes the car go, including the engine. The drivetrain encompasses the things that make the car go, not including the engine. It’s these engine-exclusive parts that we’ll be focusing on below. There are several drivetrain arrangements. 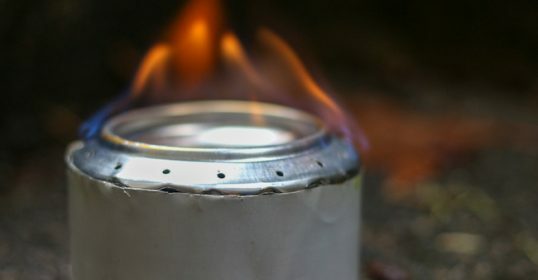 For this article, I’ll be focusing on the two found in most vehicles: rear-wheel drivetrains and front-wheel drivetrains. In my next article we’ll get into the surprisingly complicated world of four-wheel drive and all-wheel drive! In rear-wheel drivetrain arrangements, power is transferred to the rear wheels to move the car. It’s the drivetrain arrangement that’s been around the longest and is still used today on many cars and trucks. This arrangement provides myriad benefits over the front-wheel variety. First, it distributes weight more equally to each tire, which in turn provides better steering and handling. Second, rear-wheel drive can offer superior braking compared to front-wheel drive vehicles. Finally, and probably most importantly, rear-wheel drivetrain arrangements split the jobs of steering and driving the vehicle, which can lead to better handling and acceleration. With rear-wheel drive vehicles, the back wheels only have to move the car. In front-wheel drive cars, the wheels have to both move the car forwards or backwards and steer it left or right. We’ll talk more about this when we discuss front-wheel drivetrain arrangements below. Drive Shaft. 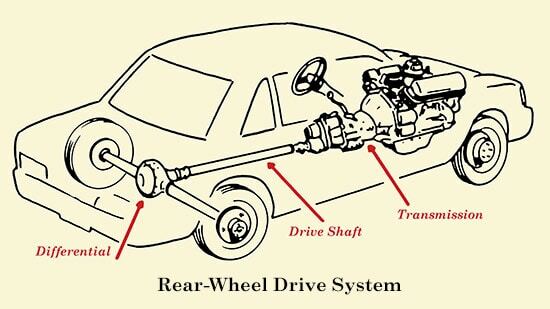 The drive shaft is a spinning tube that connects to the rear of the transmission and transmits the spinning power that began in the engine to the back of the vehicle at the differential (more on that in a bit). Drive shaft designs come in two types: torque tube and Hotchkiss. Torque tube drive shafts were used on older vehicles and are still used on some trucks and SUVs today. The driveshaft itself is enclosed in a tube. Torque tubes connect the transmission and differential via a single universal joint, or U-joint for short. Hotchkiss drive shafts are the more common drive shaft design. Unlike torque tube drive shafts, Hotchkiss drive shafts have an open design, meaning you can actually see the drive shaft spin beneath your car when it’s moving. 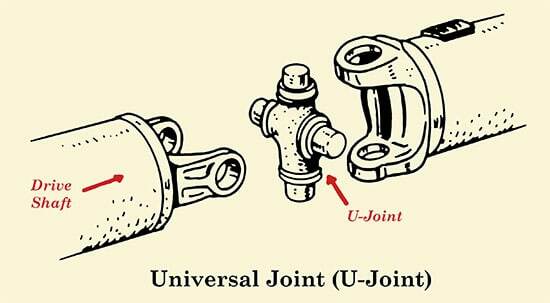 Also, instead of just using one U-joint to connect the transmission and the differential, Hotchkiss drive shafts use two U-joints. Differential. The differential is the melon-sized part that sits between the two rear wheels. It’s the last stop along the drivetrain before torque is transferred to the rear wheels. The differential transfers torque, causing them to spin, which in turn moves the car. 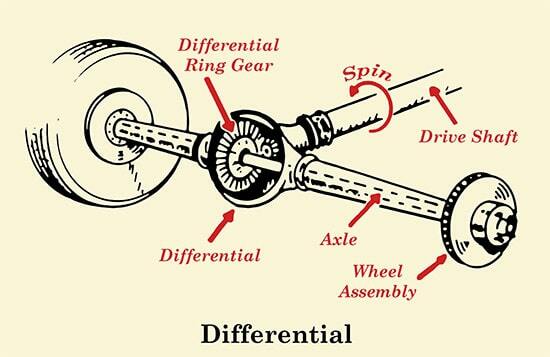 It’s called a “differential” because it allows the two rear wheels on the same axle to move at different speeds. You’re probably thinking, “When would my rear wheels move at different speeds?” Well, a common instance is whenever you go around a corner. When you make a right turn, your inside wheel (the right wheel) travels less of a distance than your outside wheel (left wheel). To keep up with the inside wheel, the outside wheel must spin slightly faster. The differential makes this possible. If there was a solid connection between both wheels, one of the wheels would need to skid in order for the axle to keep moving. Many cars today use front-wheel drive. Instead of the rear wheels powering movement, the front wheels do. Consequently, you don’t need a long drive shaft that runs the length of the car to transfer torque to move the wheels. 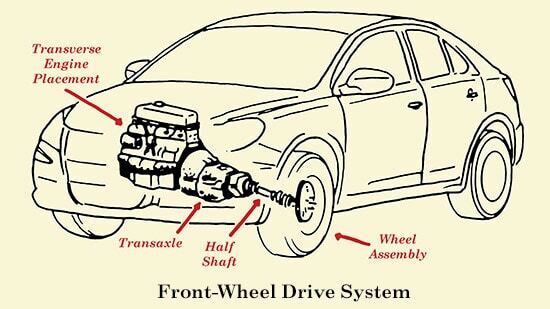 All the components of the drive train — transmission, differential, and drive shafts — are in the front of the car. To fit all these components in the front, cars with a front-wheel drivetrain arrangement place the engine sideways in the car. 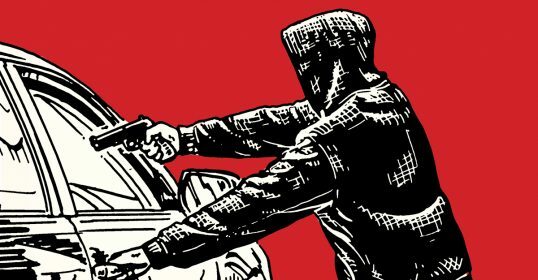 This is called a “transverse engine placement.” Open up the hood of your car — if the engine runs horizontally and not vertically, you’ve probably got a front-wheel drive car. Because all the parts of a forward-wheel drivetrain are positioned at the front of a vehicle, you can make them smaller and lighter. Or you can make the cars bigger, but just have more room for passengers. Consequently, most minivans use front-wheel drive. Another benefit of front-wheel drive vehicles is that because there’s more weight at the front of the vehicle due to all the components of the drivetrain being in the front, it provides more traction on slippery surfaces, like snow. You only get this traction benefit at lower speeds, though. When you’re traveling at higher speeds, rear-wheel drive actually provides better traction. Transaxle. Instead of a transmission, most front-wheel drivetrains have a transaxle. A transaxle combines the transmission and differential into one single unit. If you have a front-wheel drive car and you want to earn Car Guy bonus points, don’t refer to your transmission as a transmission, but as a transaxle. While most cars that use transaxles mount them right next to the engine, some sports cars use transaxles on rear-wheel drive trains for even weight distribution. 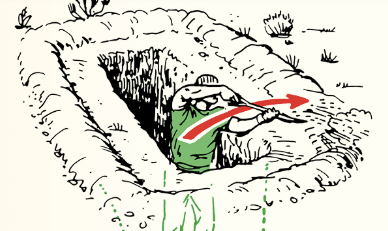 Half-shaft. Because all the components of the drivetrain are in the front of the car, front-wheel drive vehicles don’t need long drive shafts to transfer torque to the wheels. Instead, a half-shaft connects from the transaxle to the wheel assembly. In place of U-joints, half-shafts connect the transaxle and the wheel assembly with constant velocity joints, or CV-joints. CV-joints use a ball bearing mechanism to reduce friction and allow for the more complex wheel movements used in front-wheel drive cars — remember, front-wheel drive cars not only have to move the car forward, but also steer it left and right. Well, there you go — the basics of the drivetrain. Now you can explain to your five-year-old son how your car moves. If you’d like some more info on automotive systems, check out the book How Cars Work. It has helped me out a lot in my research. 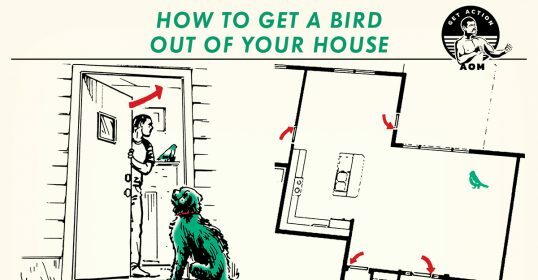 The author does a great job breaking things down into language that even the total beginner can understand. 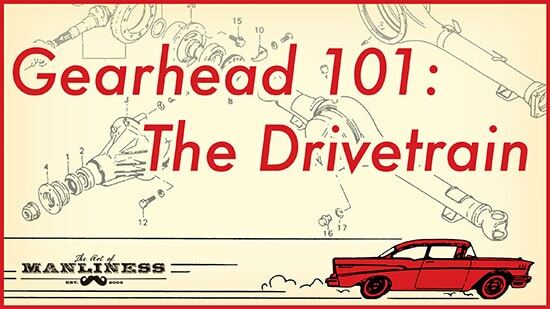 In our next session of Gearhead 101, we’ll take a look at two more types of drivetrain arrangements: all-wheel drive and 4X4.